With CD and 34 demo tracks! I decided to purchase this book based on the highly positive reviews that I'd read online. I haven't finished it yet but so far it seems well written and easy to understand. It also comes with a free disc that contains more than thirty backing tracks to play along to. Needless to say, it is best suited for more advanced players looking to expand their theoretical knowledge and jazz vocabulary rather than learn the basics. It provides a slightly different approach to things you may have already heard of. Although not very thick, this book seems like a good value. I am looking forward to finishing it and becoming a better musician! The book already offers food for thought and exercises, but it is by no means suitable for beginners. 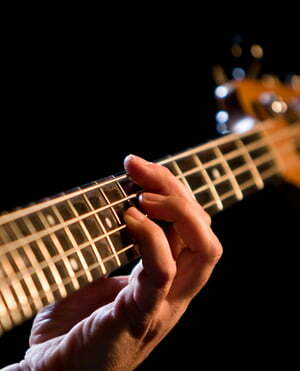 For example, it does not provide the slightest information about the fingerings. For me personally very annoying is the constant jumping in the treble clef. 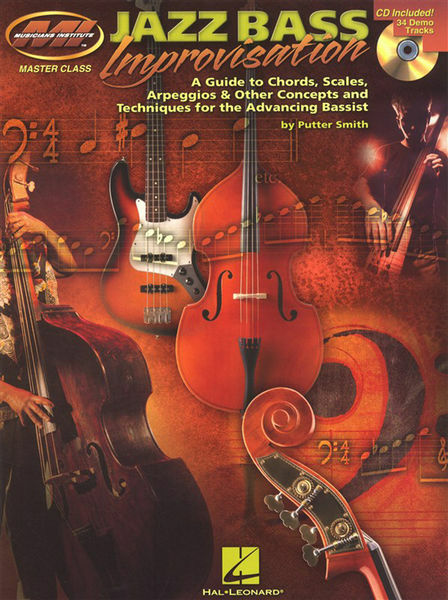 I do not know that from other textbooks, and as a hobby bassist you do not really have to read it - there are other ways of notation in the bass clef. Therefore, the included CD with the pure piano accompaniment to the exercises is very helpful and invites to improvisation, and that's what it's all about here.